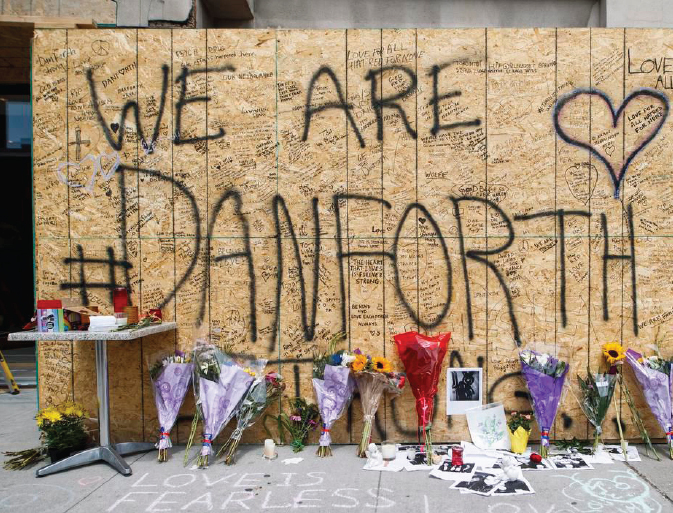 On Wednesday, July 25,Hundreds of mourners gathered at the corner of Danforth and Bowden Avenue to start a Vigil procession which ended at the nearby Alexander the Great Parkette. The vigil was planned to honour victims of Toronto mass shooting identified by Ontario's police watchdog as Faisal Hussain originally from Pakistan. His family released a statement saying he struggled with depression and psychosis his entire life, but none of the medications or therapies he tried managed to work.